We’re clearing our racks of extra inventory and showroom samples. So, you know what that means…it’s our annual sample sale! Blazers are $175.00, trousers are $100.00 and shirts are $50.00. Didn’t find anything at our sample sale? You’ll still get 15% discount on our full-priced, custom clothes. The sample sale garments are in a variety of sizes and colors, and sold as-is. Due to the popularity of the sample sale, the garments are first come, first serve. We will not be able to reserve items in the showroom for clients. 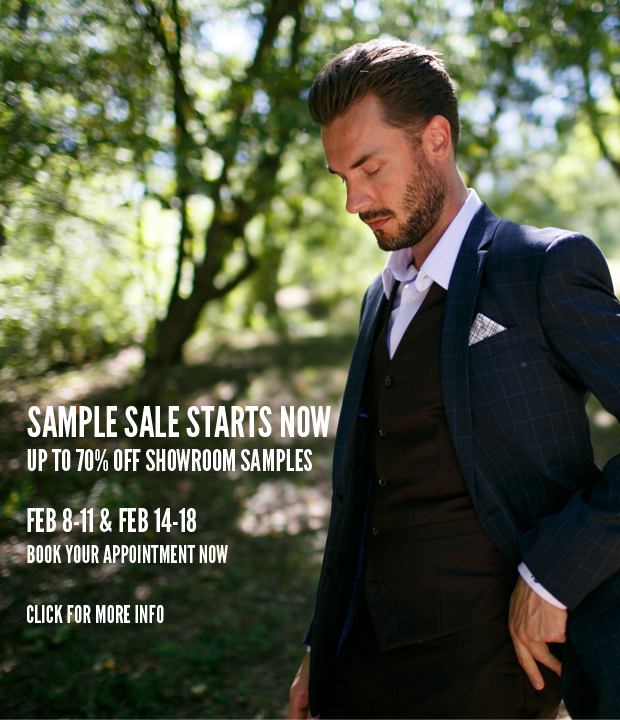 RSVP: To book a sample sale fitting, email us at info@9tailors.com or call us at 617.286.6135.